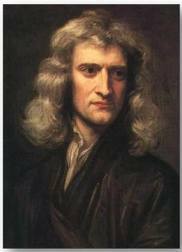 Sir Isaac Newton observed that "a body at rest will remain at rest; a body in motion will remain in motion, unless acted upon by an outside force." And while Newton meant this very literally, about physical things and velocity and acceleration, it's also true in other dimensions, including, of course, blogging. It's so boring to read blog posts about not blogging. So I'll keep this short. I just felt weird about starting back in after radio silence for so long. This is me, attempting to get back in motion! As a reader (never been a blogger) I see every blogger's posts as gifts that they give when they can. There's no implied contract that you will give when you can't, or even when you don't feel like it. Welcome back for today - I like seeing your posts. Pam & Kathryn, thanks so much for your thoughtful comments. It definitely helps to know that people area actually reading! Ondrej, thanks for the laugh!